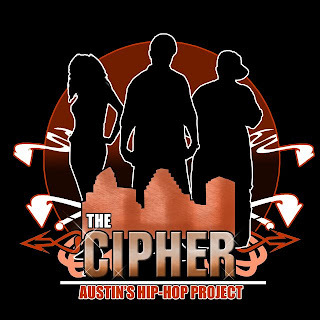 The Cipher: Austin's Hip Hop Project was inspired by the documentary The Hip Hop Project produced by Bruce Willis and Queen Latifah. Through weekly writing exercises, workshops led by community leaders and mentors, sociopolitical discussions, and exposure to Austin’s music industry, The Cipher participants gain valuable life skills and the opportunity to create an original hip hop CD compilation. Why this is important to Austin's hip hop scene: Youths are influenced enough by mainstream hip hop's images of materialism and misogyny. The Cipher program teaches participants to use their voices for positive social change despite an environment of poverty, high levels of school dropout, and teen pregnancy. These are the future artists of Austin's hip hop scene who will be responsible for keeping its spirit alive for generations to come. Why you should RSVP for the event or donate: This organization got off the ground because of 2 determined people and a team of supporters who saw the benefits and need for a program like this. Hip hop is a way of life for many of us, including teens and young adults that are a huge part of our community. The culture itself came to life because an entire community brought it to life - you know the saying, "It takes a village to raise a child"? The Cipher is that child: inspire it, be motivated by it, support it, and be in awe of how these young adults have grown and accomplished by being a part of it.